One great thing about planning a fall/winter camping trip is the chance to wear clothes like this! L.L. Bean’s flannels are so cozy and only get softer with every wear. 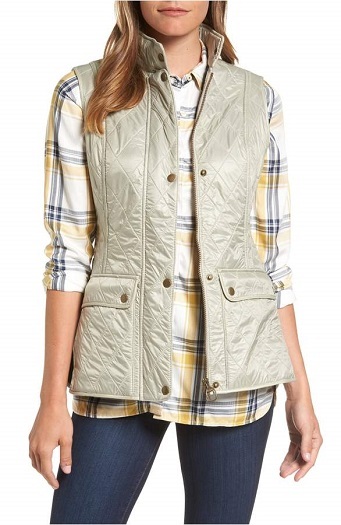 Love this Barbour vest too–it’s so tailored and classic, and not too puffy. 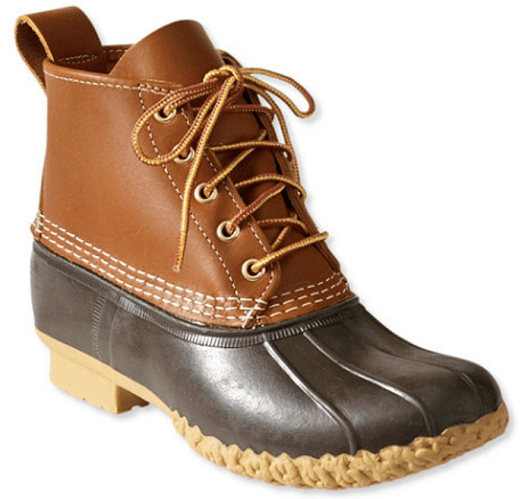 Of course, you can’t go wrong with the classic Bean boot for drizzly and frosty days. This combo would be perfect for a glamp out, sitting around the campfire, a day at the ranch, a trip to the pumpkin patch, or a Fall picnic with friends at your favorite state park. So much to look forward to this Fall. Happy Fall!!!! 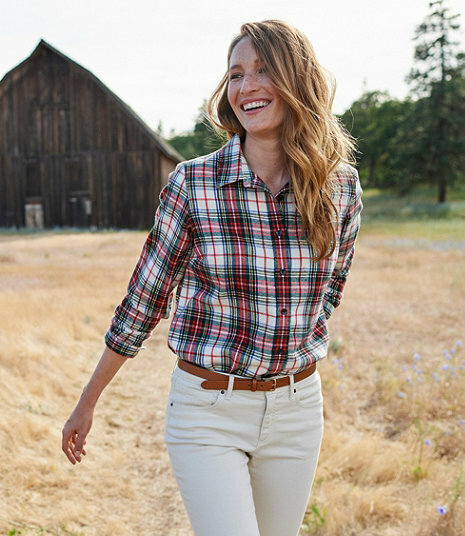 2 Replies to "Field Fashion Friday: Fall Outdoorsy Faves"
Love the shirt and wouldn’t usually think of LL Bean for shopping. Thanks!